I may not live to see midwives become the caregiver of choice in this country, but I have no doubt that women will eventually demand the personalized and intimate care I sought for myself when I began this journey. 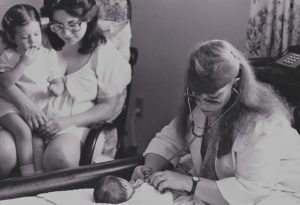 Abby had been involved in midwifery in one form or another since 1963 when the first of her five children were born at home. She was involved in the movement of midwifery on the local level as well as the national level. 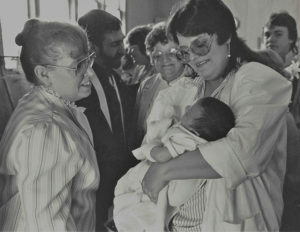 Abby was a co-founder of Center for Humane Options in Childbirth Experiences (CHOICE). She was on the Board of Directors, Executive Director, a Midwife, Monitrice, Monitrice Instructor, Childbirth Educator, Treasurer, Office Manager, and Public Speaker. She developed the Apprenticeship Training program and the Monitrice Training Program at CHOICE. Abby trained around 100 Monitrices and Apprentices. She co-founded the Ohio Midwives Alliance, and served as President and Newsletter Editor. 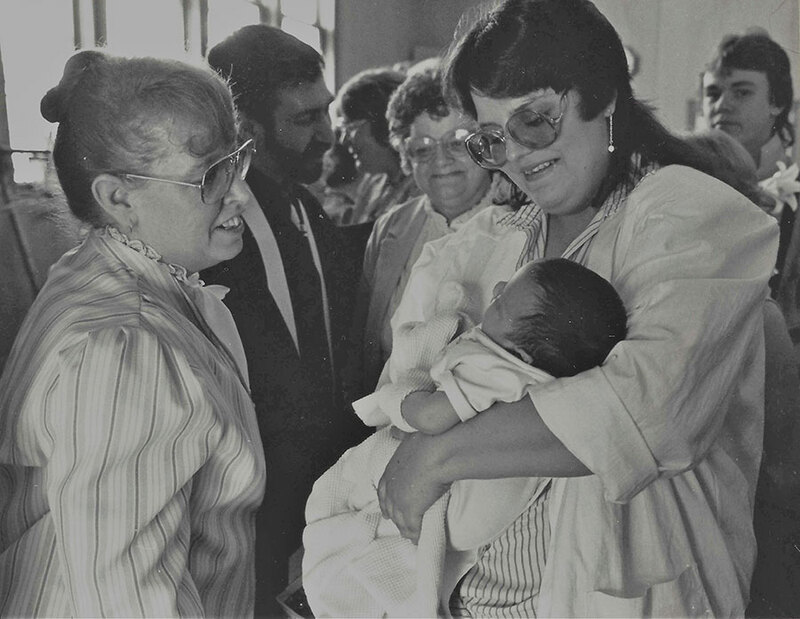 She served as a La Leche League leader as well as Chapter President, Treasurer and Newsletter Editor. Abby served as chairperson for the Legislative/Legalization Committee, initiating political contacts and presentations at the state level, and wrote proposed legislation, rules and regulations. She served on the Ohio State Legislature’s Direct-Entry Midwifery Study Council to represent Ohio midwives as they began their journey toward legal recognition for Certified Professional Midwives (CPM) in the State of Ohio. On the national level she was a board member for the Midwives Alliance of North America including First Vice President, Membership Chair, Treasurer, Statistics and Research Committee Chair, and she helped develop a computer version of the MANA statistics form. Abby served on the North American Registry of Midwives (NARM) Certification Task Force. In 1994, she became the first NARM Certified Professional Midwife (CPM) in North America. Abby was a representative for MANA at the International Confederation of Midwives (ICM). She was the Chair of the ICM Education Standing Committee, working to broaden the International Definition of a Midwife by the World Health Organization (WHO) to include apprentice-trained midwives, not just university trained midwives. 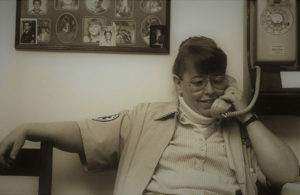 Over the years Abby authored Handbook for Home Birth, The Birth Attendant Handbook, The Monitrice Training Program, and Midwifery: An Informational and Educational Packet. A midwife, friend, mother, grandmother, mentor, teacher, partner, our beloved Abby was an inspiration for us all and touched so many lives. She dedicated her life to midwifery. Abby will forever leave an empty space in our hearts. Click this link to learn more about the Abby J. Kinne Apprenticeship Fund and how you can help support our mission!